We all have our favorite things to collect. Things we have to get when we travel or when we see these items in the store or online. The question is… What theme are your things to collect? 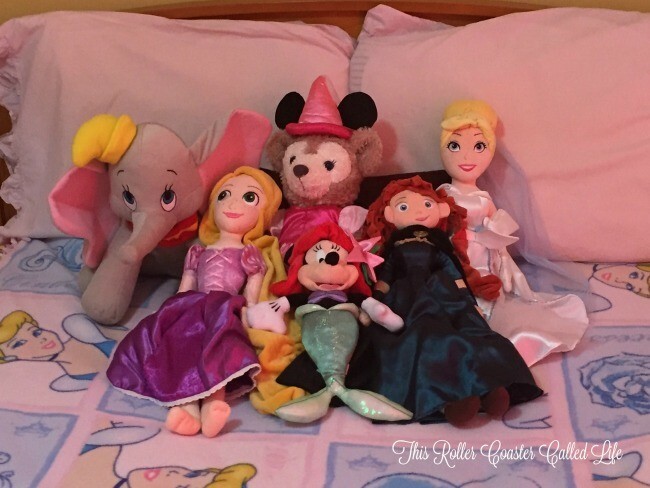 Our family loves to collect Disney items. Are you surprised? I’m sure you aren’t surprised at all! 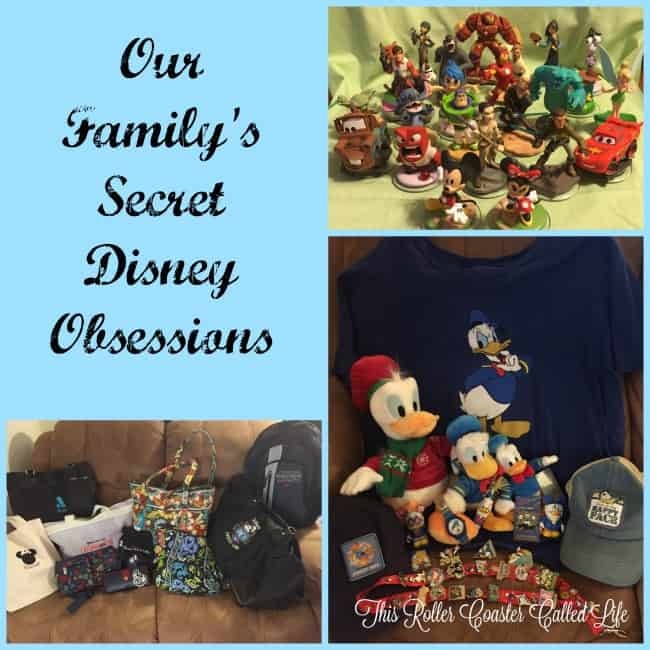 Come see our family’s secret Disney Obsessions! Let’s start with the duck! Donald Duck, that is. My husband, Don, loves to collect Donald Duck items. You should see some of his t-shirts… I don’t think he ever goes to a Disney destination without purchasing a Donald Duck souvenir. In fact, we can never go wrong with presents if we buy him something with Donald Duck on it! Let’s move on to the kids. 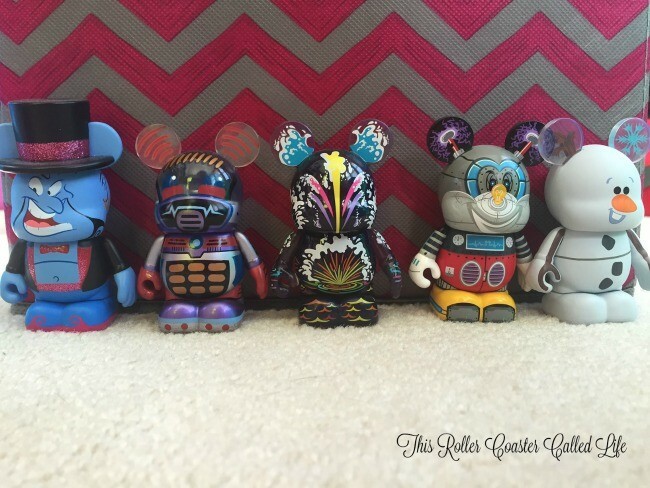 Ok, I must admit that I like Vinylmations, too! We have a lot of Vinylmations that we like to keep around. They are nice to display on the mantle. My son (and daughter) has hit the Tsum Tsum craze! Not a trip to the Disney Store goes by without some gazing at the available Tsum Tsums. Marvel Boy likes to stack his Tsum Tsums up, but it is also easy to grab one to take on the road. 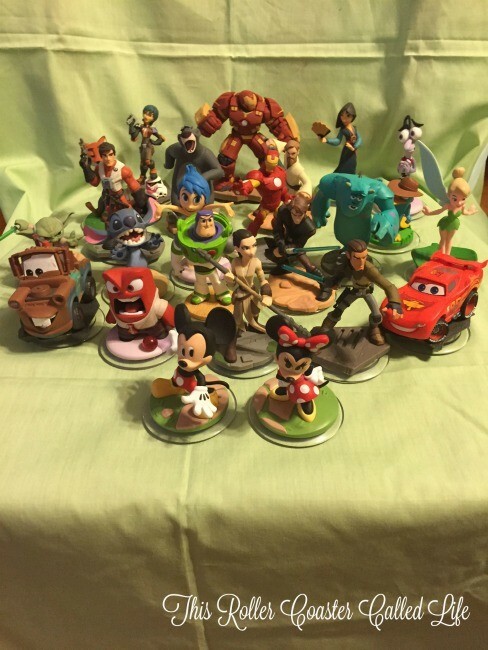 For one last obsession… Both kids LOVE to play Disney Infinity! They started out with version one and have moved right along as the versions rolled out. [Dear Disney, please don’t bring any more versions out! This mom is going broke…] Seriously, if the kids want Disney Infinity characters, they must purchase their own with their allowance money. That is about it for our Disney obsessions, but what about you? 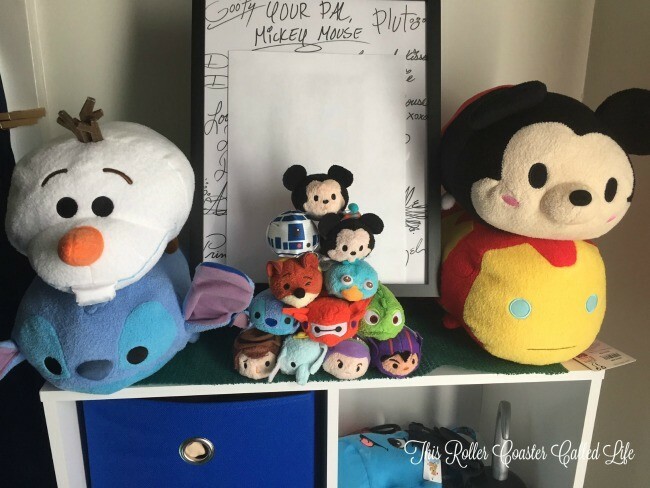 What is your favorite Disney obsession? 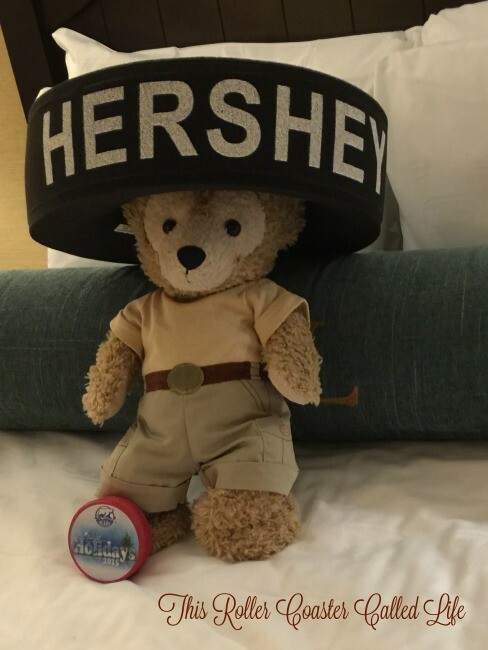 For more secret Disney obsessions, check out the other great posts from the Blogorail! The only way to collect Disney Infinity figures is to be obsessed thanks to a new version every year! I gave up when previous versions couldn’t play new ones. Awwww! You flatter me! You’re welcome! 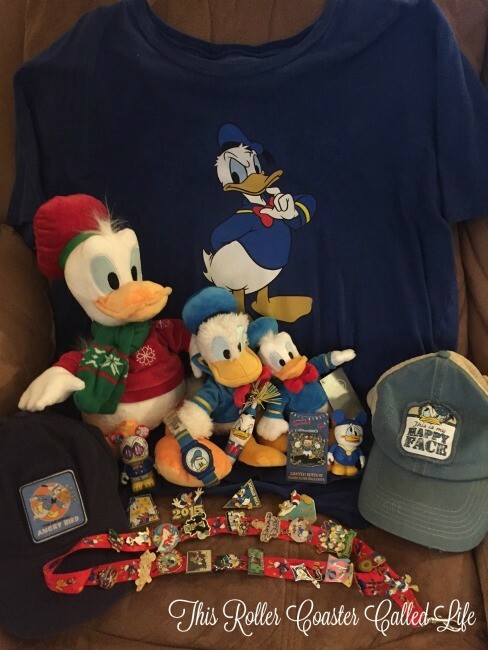 I love that your hubby collects Donald items – so fun! We usually buy Grumpy things for Brian; but, it wasn’t originally his choice, he’s just sort of gotten used to the idea. LOL His favorite character, though, is definitely Goofy; so I guess we should start buying him more Goofy things! 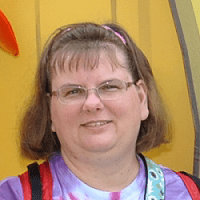 Isn’t it dangerous having the Disney Store semi-local? I can’t stay out of that place when we’re in the area. Surprisingly enough, though, Brian and I were there on Saturday and I didn’t buy a thing! But, we have TWO semi-local Disney Stores… Isn’t that just the worst? I’d love to go in without buying anything, but I usually have at least one kid with me. I get the Grumpy things. The kids like to buy Grumpy for their dad, too, but you really should buy Brian some Goofy. I’m sure he would appreciate it! I’m glad I’m not the only bag collector! Bags, blankets and Christmas ornaments are my personal collections! Disney stuff is the best stuff! I collect Disney pins and POPs and I have lots of t-shirts to wear for my trips. Thanks for sharing your collection! 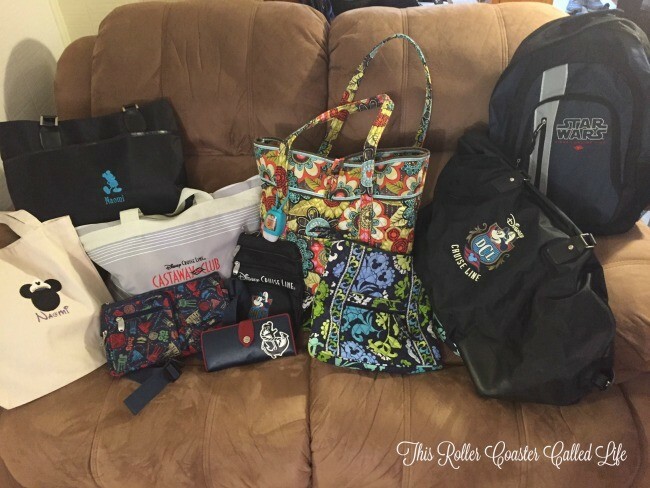 I have that same giant Vera Bradley Disney tote. Love it! I am definitely on board with the bag hoarding. I have ones I haven’t even taken the the tags off of yet.